Hi Everyone! I just got this information from Urban Decay today about the new Oz palettes! I will have them next weekend when they become available at my local Sephora to review for you… But until then, here is a little teaser! Which witch are YOU? 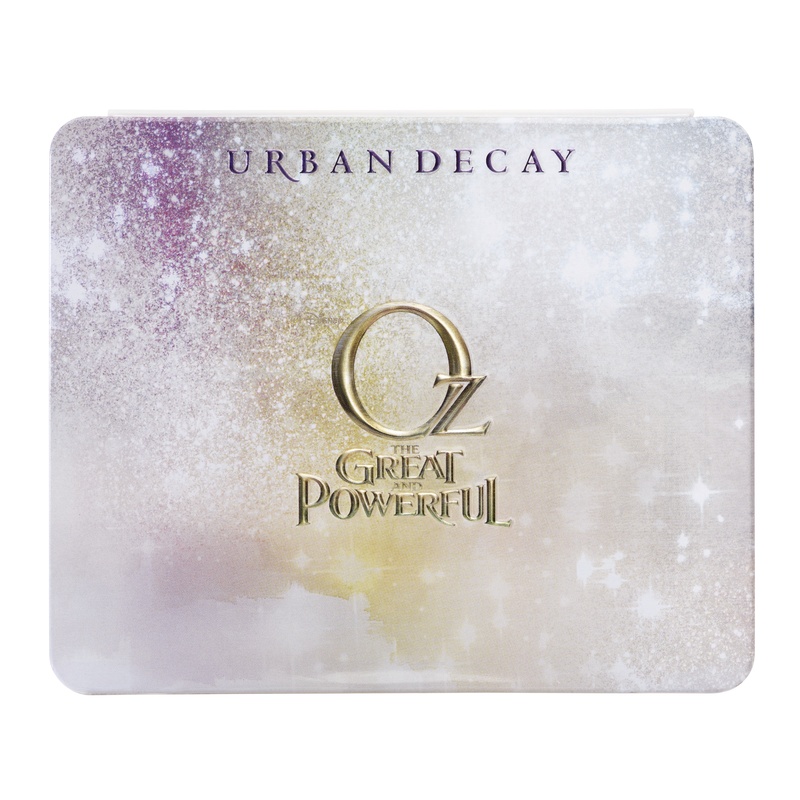 Introducing, the Glinda and Theodora Palettes from Urban Decay inspired by Disney’s Oz The Great and Powerful!! The first time we partnered with Disney, the Alice in Wonderland Palettes sold out within days and some people didn’t even use them so as to preserve their precious packaging. So THIS TIME, we thought it would be genius to feature them inside a Build Your Own Palette! That way, you can keep reusing the package forever by adding and removing whatever shades you want!! Each palette features 8 exclusive eyeshadows, a “get the look” card featuring a look from her character, a travel-size 24/7 Eye Pencil and a full-size Super Saturated Lip Color. A screaming deal for just $49 (a SSLC is $19 at retail, so you’re getting all those shadows for just $30! ), get them while you can before they’re sold out! Available now on urbandecay.com in stores 2/1. Here are some photos from Urban Decay… gah! I can’t wait!!! Hahaha! I know! The nice thing is that you can replace the colors with any that you want so you can keep using the case… they just pop right out!